They are forming the “dream team” here at CODE_n SPACES. From four people who moved in last summer, the Flip team more than tripled in the last six months and they are now on a pretty fast trajectory. Our CODE_n SPACES resident is developing a modern social media tool to improve communication at German firms that offer apprenticeships, and not just for the apprentices themselves. The idea is to offer companies a platform encompassing the top functionalities they know from the most popular privately used social media apps. We recently spoke with the team and dug into the opportunities and challenges that came with the company’s rapid growth. Lisa Scholer, Customer Relations Specialist at Flip, updated us on the recent developments within the company. Iulia: Hi Lisa! Can you tell us, why and how your startup has grown so much in such a short time? Lisa: We initially developed our product Flip specifically for the demands of our customers offering company-based vocational training programs. It was so well received by the German firms and their employees that many approached us with the wish to further develop Flip so that it could be used throughout all departments of their companies. Of course, we are very excited about these extended cooperations. In order to meet this challenge and the increased demand, we subsequently had to expand our team quite a bit. Iulia: How has this fast growth changed the way you work? Is there some kind of hierarchy at Flip? How is the team structured? Lisa: As we grew bigger, our way of working only improved. New team members brought new influences, thoughts and ideas into our daily business. Initially, that also meant that some processes took a bit longer, but in the long run it brought us much better results. We try to keep our hierarchy as flat as possible and just think of us as one big team where everyone is equal. Every opinion counts and important decisions are made together. Roughly speaking, we have two main departments – Development and our Marketing and Sales team. Both teams work partly independently, but often also quite collaboratively. Thanks to Flip, our communication is of course always excellent. Iulia: How do you recruit the “right people” at Flip and do you have a retention plan? Is there a strategy behind? If we have a potential new “Flipster” in mind, it’s a team decision. First, our founders sit down with the applicant. Then at least one from the corresponding area (marketing/sales or development) goes out for a meal and/or beer with the potential candidate. We want our discussions to take place in a relaxed atmosphere, because this is the only way in which we see whether the applicant fits into our team or not. Once we have found a new team member, it is important for us to optimally familiarize and accompany him so that he can integrate well and find his role in the team. We don’t really have a retention plan, but of course we take care of our employees and make sure everyone is happy. We strongly believe that everything we invest in our team, ultimately also results in satisfied customers that are taken good care of. 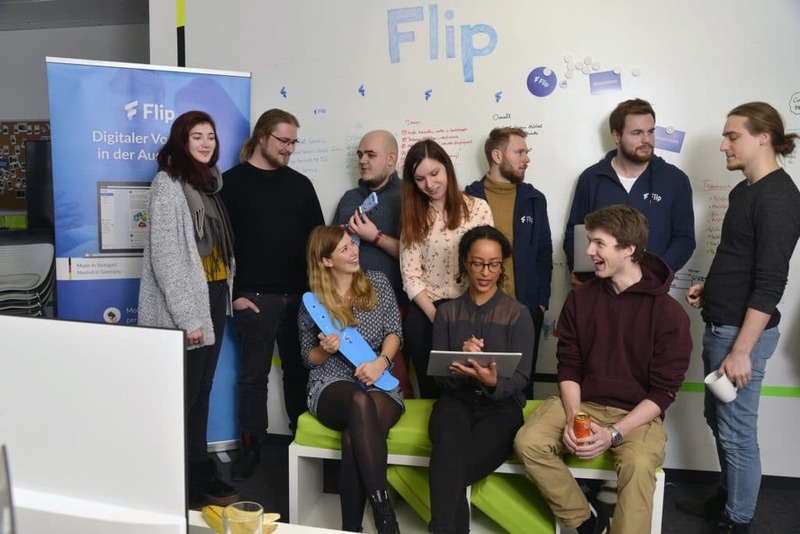 Iulia: How did the startup culture at Flip develop as you grew? What are the biggest challenges of growth? Lisa: Our working culture morphed and manifested itself during our growth. With every new employee and every day going by, we learn something new about ourselves and the type of company we want to be. It is important for us that we stay highly productive while still having fun– not always an easy balance to strike, but a worthy pursuit, nonetheless. At Flip, we don’t feel the need to tell people what they have to do or work on. Everyone is independent here while still working as a team. Besides our daily stand-up meetings which allow us to share progress and help each other, every two weeks we have our feedback sessions with Benedikt and Tom. During these meetings everyone talks openly, sharing everything ranging from new ideas that could be implemented to things that need to be fixed. Whenever we are faced with an important decision, we involve all of our team members and we vote in order to make the right choice. A big challenge when growing so fast is the constant shortage of office space and the growing noise within those spaces. 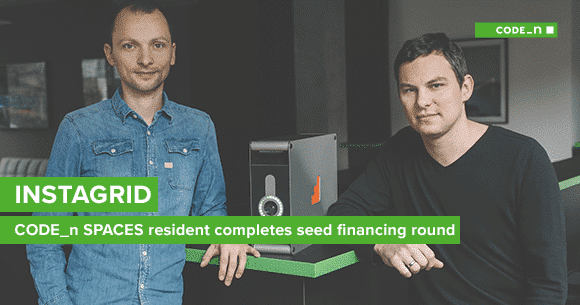 Luckily, CODE_n has been really supportive and allowed us to move to bigger office spaces multiple times within only a few months. Moreover, we drown out noise and continue to work uninterrupted during busy hours in the office thanks to our noise-cancelling headphones that every employee got for Christmas. Despite all the challenges we aim to continue growing with at least the same speed, also because of the delicious cakes that many new co-workers bring along on their first days of working with us – more Flipsters, more cakes. Iulia: Are there any company values you adopted at Flip? Lisa: Being such a young company, we are currently just at the beginning when it comes to the values we stand for. For now, we do not want to necessarily define a set of values but rather see it grow and develop naturally as every new team member brings in their own set of values in the mix. As an example, we discovered that sustainability is an important aspect for many of us. That’s why we try to use our resources sparingly, work as paperless as possible, visit our customers by public transport and cycle or even jog to/from our office. 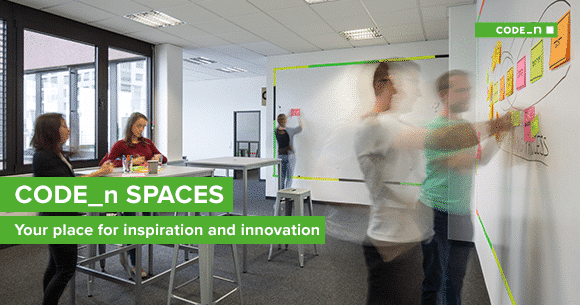 Being a resident at CODE_n SPACES also helps us immensely providing us a great work setting and benefits for the team. Fresh fruit, office snacks, coffee, appealing chill areas, table football and inspiring networking events are fantastic and contribute a lot to our well-being while working. Iulia: Do you have a vision of what your startup will look like in the near future? How big could Flip become? Lisa: Our big dream is that at some point in the future we can add ourselves to the list of those legendary “unicorn” startups and businesses all around the world will use our products and services. Our vision is that the name “Flip” will become part of people’s vocabulary in their everyday life just like Zalando, Spotify or Airbnb. But until then, we still have a long way to go. 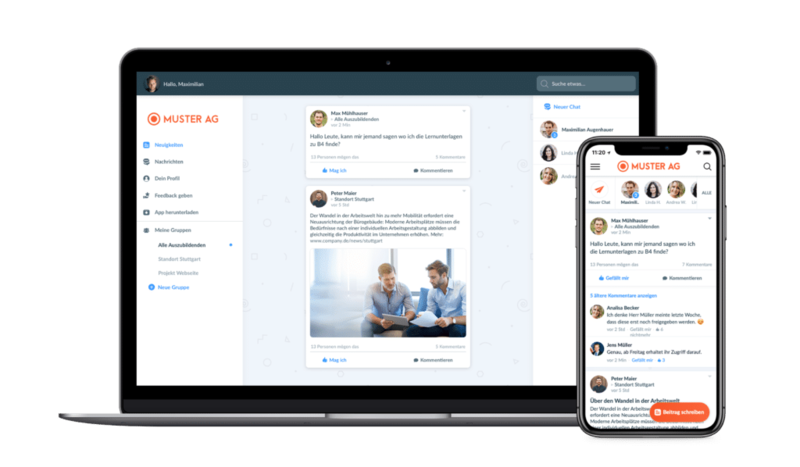 In the near future our goal is to win additional company-customers of all sizes, constantly improve our messenger and potentially seek venture funding to scale even faster and become the go-to address for innovative business communication in Germany. 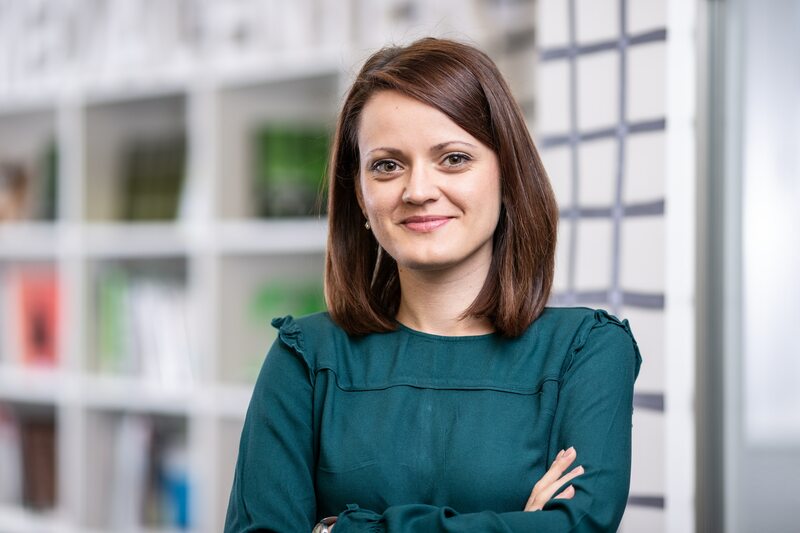 Iulia: Last, but not least, what have been the most important highlights at Flip in terms of product development and customer acquisition since you moved in at CODE_n SPACES? How has the innovation hub here in Fasanenhof supported your startup growth? Lisa: A lot has happened since we first moved into the CODE_n SPACES. The development of our second project “Flip Next” is in full swing since the beginning and very soon we will release our first beta version to the first customers. We won many SME’s as customers and are in advanced negotiations with multiple global corporations. We also joined Deutsche Telekom’s TechBoost Startup Program and qualified for the upcoming batch of STARTUP AUTOBAHN, the biggest European innovation platform. CODE_n puts us in touch with the largest businesses in the area and in many cases, we were able to follow up and establish a relationship. 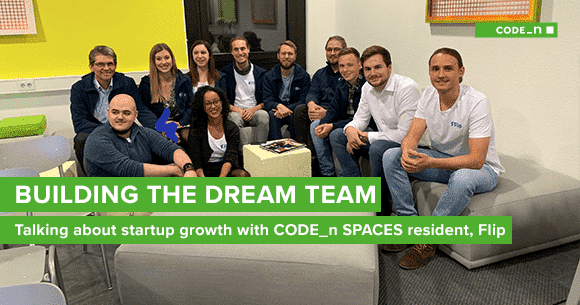 A typical example: while we were practicing our pitch in one of the meeting rooms, the board of directors and the innovation manager of a large Sparkasse-branch, who were taking a guided tour at CODE_n SPACES, came across us. Thus, we were able to practice our pitch directly in front of them – with success! They were so thrilled that we directly arranged a follow-up appointment and since March they have been flipping back and forth. Iulia: Thanks a lot, Lisa for sharing these interesting insights into your company’s culture! Without a doubt, such a working environment offers huge emotional rewards. Stay daring and keep on innovating digital communication in the workplace!